One of the most important and valuable parts of the home buying process is the relationship between the buyer and the mortgage lender. While the lender’s knowledge can make a huge difference, it is also important for the buyer to be as educated as possible too! Here are some tips that will help any buyer looking to purchasing a home. 1. Know the types of mortgages that are offered. You should definitely know the full range of loans available to you so you can find the best one suited to your specific needs. There are fixed rate mortgages (FRMs), which means that the interest rate remains “fixed” for the life of the loan. There are also adjustable rate mortgages (ARMs), which means the interest rate “adjusts” after an initial period, usually one to seven years. 2. Know what mortgage is the “best fit” for you. Once you have completed your application and the lender has all of your information, including employment, income, assets, credit, debt, expenses, down payment amount, and other pertinent information about your finances, your lender will be able to give you a number of options to what is the best fit for you. 3. What documents should you provide? 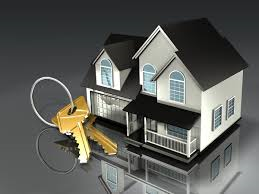 In order to prove that you can afford a mortgage loan, your lender will want to see a number of items. These include a proof of income, your employment , and assets with statements of expenses and debts. You will need to give your lender permission to pull your credit report and get your credit score. If you happen to be self-employed, your lender may also want to see tax returns IRS 1099 forms, profit and loss or income statements, and possibly even other financial business records. 4. How long will it take to process your loan application? This has numerous factors that decide the time it will take. Getting all of the required documents submitted quickly will definitely help. There is also the process of inspectors, appraisers, and other professionals who will be involved and your lender can help you get those taken care of as quick as possible. Sometimes it will take a few weeks, but usually will take a month or two. 5. Is there anything that will delay your approval? Being slow to complete and deliver the required documents, failing to fully complete any document, not being readily available to answer questions, and failing to check your credit report may result in a delay of your approval. It is important to remember that you once you submit your application until the time the loan is funded, you will need to notify your lender of any changes in employment, debts, marital status, or any other possible conditions that might affect your application. If you are interested in purchasing a home, please call me and set up an appointment as I am qualified in many aspects of the mortgage business and can explain in detail the entire process to get you into your dream home.